It's only been about a week since AMD released its Crimson 16.8.1 drivers, but with No Man's Sky now available for PC, AMD has gone and released an incremental update (16.8.2) that adds support for the buggy title. 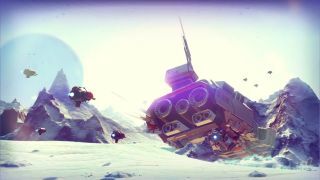 Unfortunately for Hello Games, it hasn't been smooth sailing for No Man's Sky since launching to PC on Friday. Many gamers have complained about various performance issues. There's a patch available that improves AMD Phenom support, along with wonky behavior such as jittery framerates and the inability to alt-tab back into the game, but the game isn't totally fixed. You can download the newest Crimson drivers here.